In his book "A Queer Little History of Art," Alex Pilcher writes, “A line has no gender. Neither does shape or color. Gender does not reside in a hairstyle, a name or even a body.” Yet we live in a society in which we are told that every garment choice, body shape and even color is coded with gendered meaning; a choice: masculine or feminine. 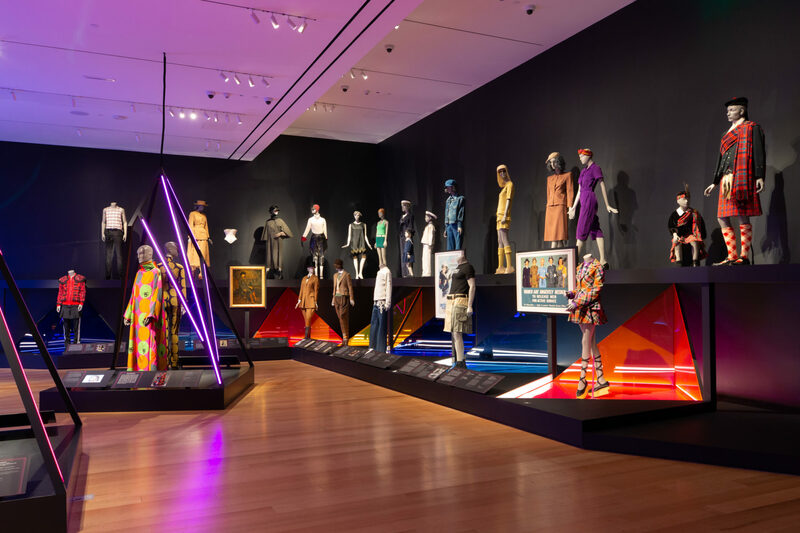 Enter "Gender Bending Fashion," a new exhibit at the Museum of Fine Arts on view through Aug. 25 showcasing a storied history of disruption and transcendence in design. It spans from early women’s trousers crafted in 1930 by Jeanne Lanvin to the famous Alessandro Trincone dress worn by Young Thug on the cover of his 2016 mixtape, "JEFFERY." 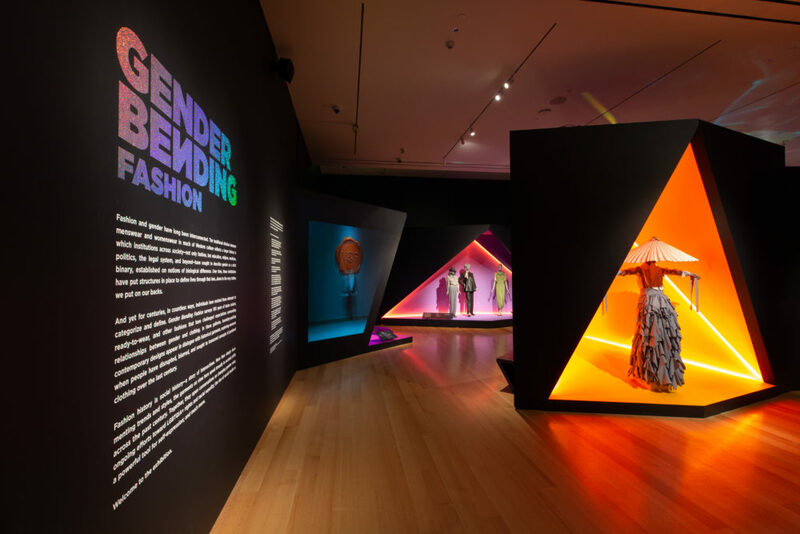 "Gender Bending Fashion" is spread across three gallery spaces, juxtaposing garments and photographs from the MFA’s collection with the work of contemporary designers. Throughout the galleries, designers and wearers speak of the intersections between their fashion and their gender, sexual, racial and cultural identities. 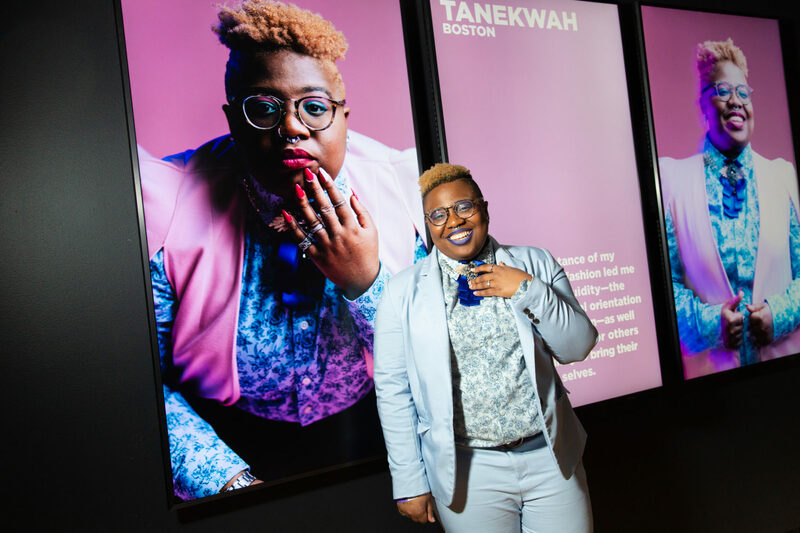 When pulling together the exhibition, curatorial staff also wanted to make sure it was grounded in a local context — integrating the fashion and perspectives of contemporary Bostonians. That's when MFA curator Michelle Finamore spotted a portrait marathon for queer and transgender people on Instagram. She got in touch with its creator — Boston-based photographer, 26-year-old Ally Schmaling — to collaborate. For the MFA's exhibition, Schmaling wanted to create a “holistic portrait” of Boston in its current cultural moment. 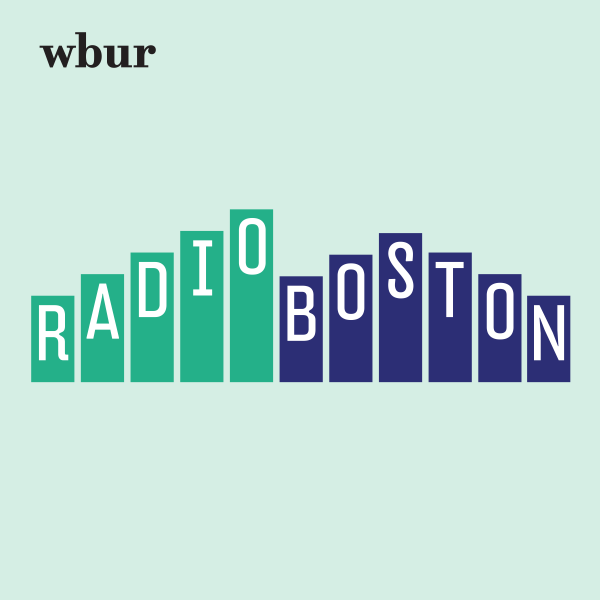 The result is a digital album of photographs and stories from 10 Bostonians who challenge the binary in their dress and ideology. As visitors pass through each of the gallery spaces, they’ll be greeted by some of the portraits, presented in a digital animation across three large screens. “I think anyone can [take photos]. 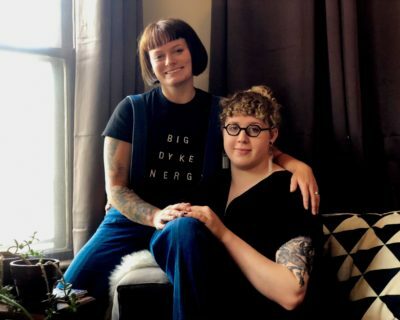 I think the art of it, and the thing that I feel really passionate about, is creating space physically and emotionally for people to unfold and to feel seen and to feel valued,” says Schmaling, who uses she and they pronouns. Another integral way for all people to feel welcomed in this exhibition came down to language. In November, only months before it was set to open, gender studies scholar Matisse DuPont, 26, reached out to the MFA with a specific question. DuPont, who also uses she and they pronouns, soon met with the curatorial staff of the exhibition — including Finamore, head of interpretation Adam Tessier, and senior designer Chelsea Garunay. At that point, the museum staff had been developing the exhibition for over a year. DuPont was hired to help oversee the various text panels and communications seen throughout the exhibit. DuPont helped craft the introductory panel visitors pass as they enter the exhibit, as well as the thought-provoking prompts for passersby to contemplate, and a passage on gendered habits, which they developed in collaboration with Tessier. They were also responsible for working with the museum to create its first-ever permanent all-gender restrooms, located near the entrance to the "Gender Bending Fashion" exhibit on the second floor of the Linde Family Wing. “I was really adamant that we have an all-gender, multi-bathroom stall right by the exhibition,” DuPont says. For transgender and gender non-conforming people, accessing a public restroom without fear of rebuke or harassment can be a daily challenge. “We were able to actually convert a multi-stall bathroom into all-gender ones. The signs now reference the plumbing; there’s no sort of gendered language. ‘There’s a urinal in here, and only stalls in this one.’ So people can just have at it! Of course you can’t change the architecture of a building overnight, but we can change the signs,” DuPont says. As people of marginalized gender experience, Schmaling and DuPont find their excitement and joy over the launch of the exhibit tempered with the knowledge of how far we still have to go as a society. One that is, in many ways, still waking up to the possibilities that exist outside of the norms we’ve been conditioned to accept. Above all, they hope that this exhibit sparks conversation among visitors, no matter where they are in their own paths of expression.